Geoff is a director, writer, musician, and actor. He holds a Bachelor of Science in Film from Full Sail University in Orlando, Florida. With a great passion for horror and Halloween, he has designed haunted houses in his Colorado basement, acted in theme park Halloween attractions, and even designed and wrote award-winning scare zones and shows for SeaWorld San Antonio’s Howl-O-Scream. He believes theatre and film is most effective when the audience participates. He is an avid tea drinker, his favorite superhero is Daredevil and his favorite monster is Cookie Monster. Geoff has been working at Cross Roads Escape Games since December 2016 and is currently a Manager & Game Master. Win exclusive Pet Sematary prizes! “There is something up in those woods. Something that brings things back. 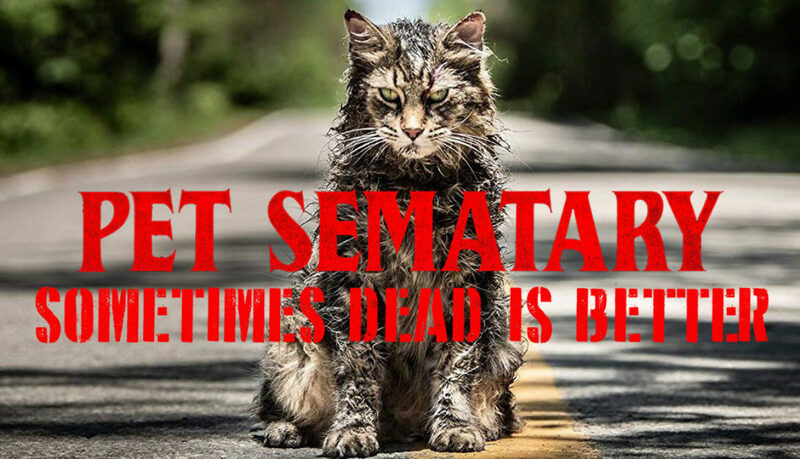 Sometimes dead is better,” warns Jud Crandall in the trailer for the upcoming film Pet Sematary. I cannot tell you how excited I am to see the new Pet Sematary. Starry Eyes, the first film from directors Kevin Kölsch and Dennis Widmyer, is one of my favorite horror films ever and from the moment I heard they were taking the helm of adapting Stephen King’s book, I knew we would be in for a dark and twisted treat. The film has already been receiving rave reviews after its screening at SXSW. We here at Cross Roads are huge fans of horror. 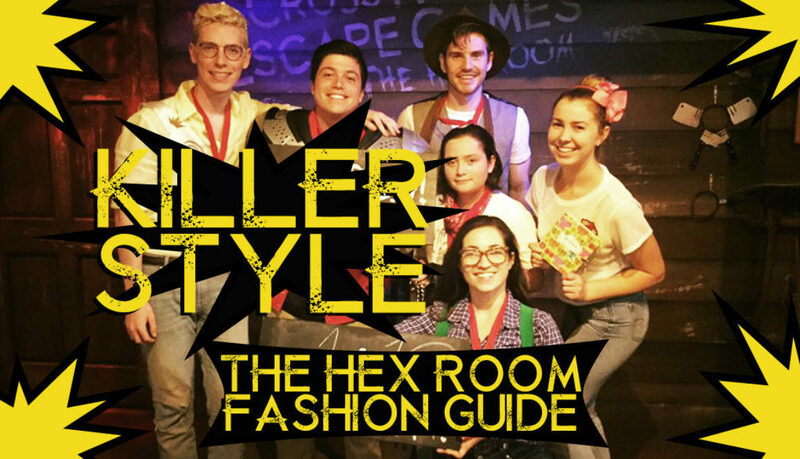 Every day we get to see people live out their very own horror flicks in The Hex Room. 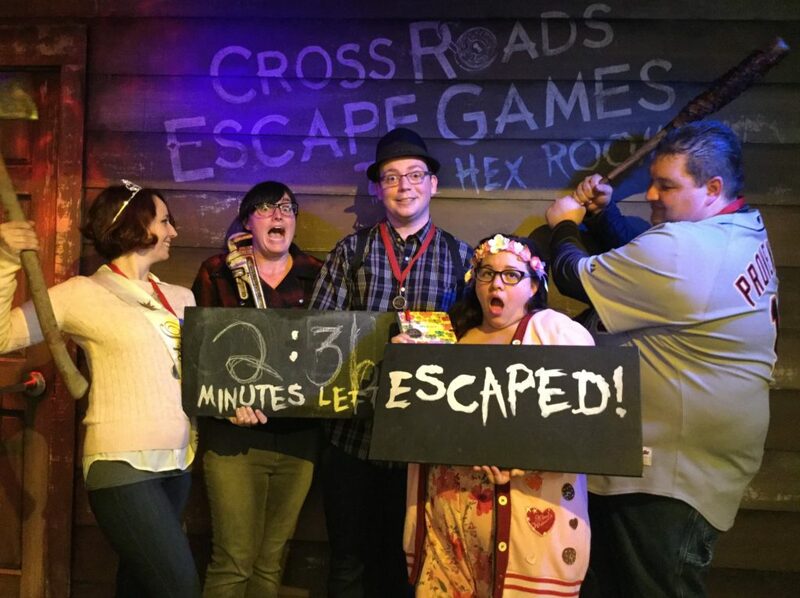 The Hex Room is a unique escape room because it is designed to be replayable. Before your game you are cast as either the Detective, Jock, Rebel, Prom Queen, Nerd, or Virgin. 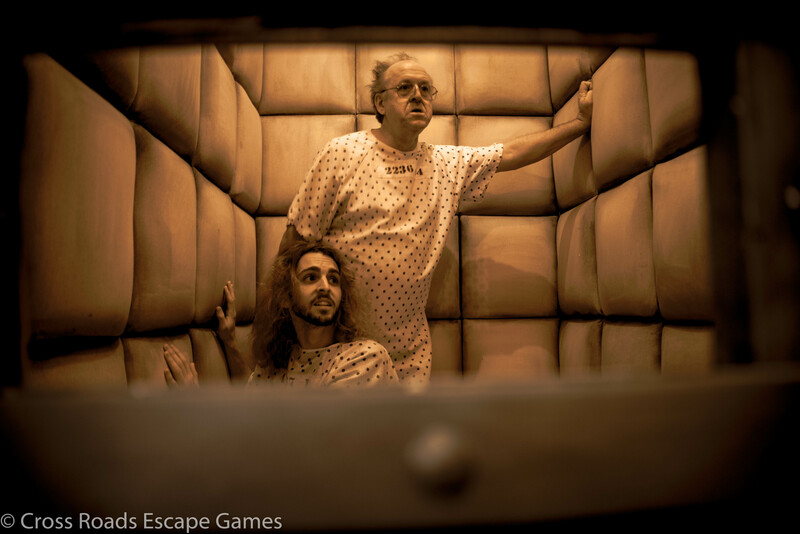 You are then placed into individual rooms within the game where it is your team’s job to communicate and escape the individual rooms to come together and escape the game in its entirety. Furthermore, teams are able to leave some players behind. Of course, this leads to a difficult game and often leaves us with a few casualties along the way. Don’t be disparaged, however; sometimes, dead IS better. 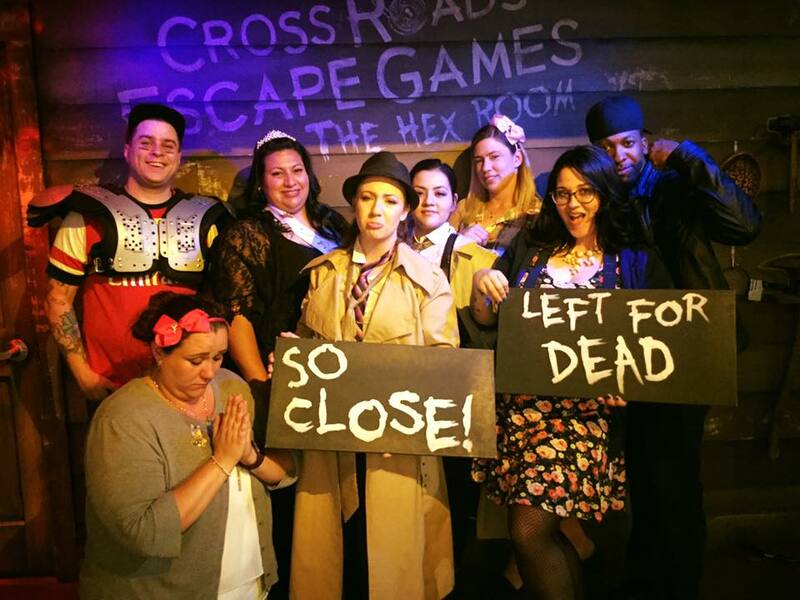 If you don’t escape your first try at The Hex Room (or if your group left you for dead), there are a few upsides to experiencing a horror movie death. • You are now familiar with the gameplay. This will allow you to know just how much communication and teamwork the game requires. • You will most likely have more time to focus on your Hex Box so you survive the horror flick. • You are now the scariest thing in the room. Promoters of Pet Sematary teamed up with Cross Roads Escape Games to offer players some merch. 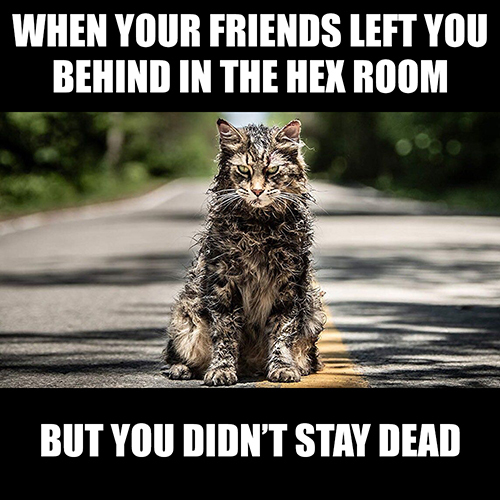 Anyone who plays one of our games can reward themselves to a Pet Sematary poster. 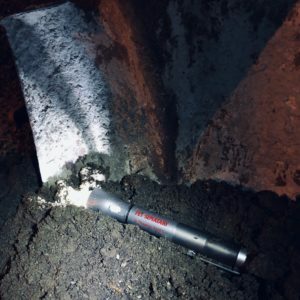 For those cunning enough to escape and survive The Hex Room with all SIX survivor medallions, the group will win a Pet Semetary flashlight while supplies last. 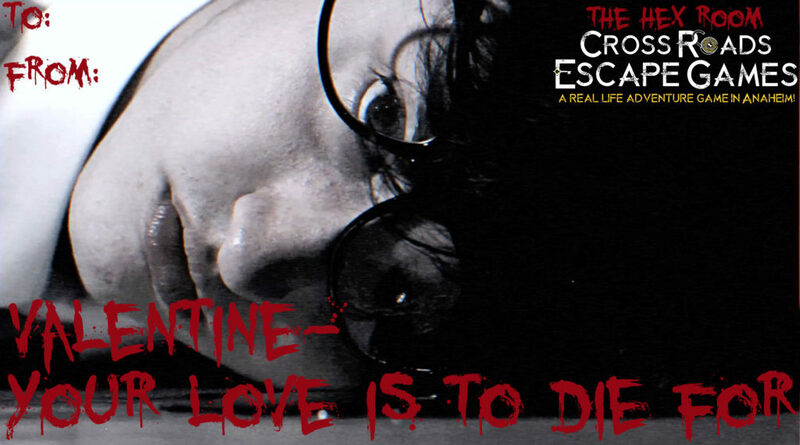 See if you have what it takes to survive a horror film with The Hex Room at Cross Roads Escape Games. And don’t worry. If you don’t make it out alive, we know how to bring you back. Prizes available while supplies last! Watch the Pet Sematary trailer below! 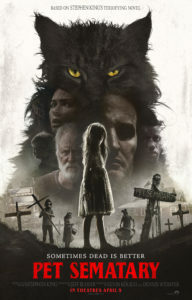 About the movie: Based on the seminal horror novel by Stephen King, Pet Sematary follows Dr. Louis Creed (Jason Clarke), who, after relocating with his wife Rachel (Amy Seimetz) and their two young children from Boston to rural Maine, discovers a mysterious burial ground hidden deep in the woods near the family’s new home. When tragedy strikes, Louis turns to his unusual neighbor, Jud Crandall (John Lithgow), setting off a perilous chain reaction that unleashes an unfathomable evil with horrific consequences. In theaters April 5th, 2019. 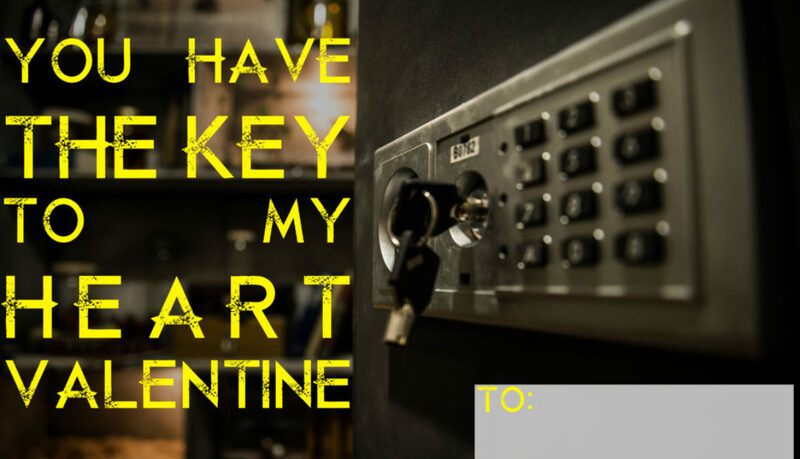 Have you ever thought of playing an escape room for a first date? 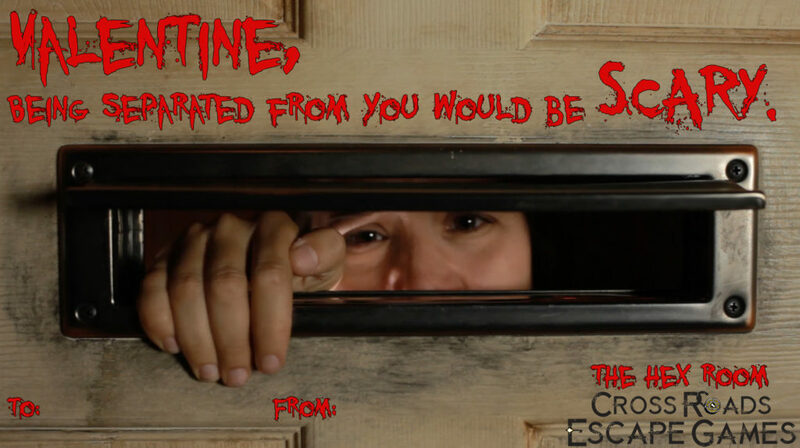 Sure, being locked in a room for an hour with someone you’re not sure if you’re interested in like that can be a little intimidating, but there are a myriad of reasons to make an escape room your first choice for first dates. For starters, you won’t necessarily have to be alone. 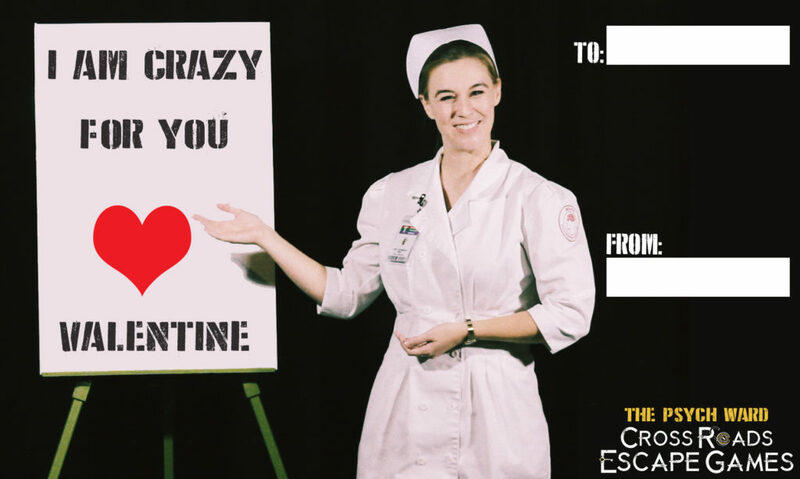 Whether you’re worried about stagnant conversation or would just prefer to be around other people, you can find an escape room that you can invite other friends to: like your best friend Jill who is really good at puzzles but really bad at setting you up on dates. There will be friends (or other strangers, depending on the game) to make you feel less isolated. In fact, make it a double- or triple-date and everyone will be in the same boat! Game Masters are excellent wing-people. We can spot a budding romance a mile away and there’s nothing we like more than watching the drama unfold before our eyes. Are you really into her? We know how to make you look super smart like you just solved the hardest puzzle on your own. Not really into him? Zoltar can make him do push-ups for hints. 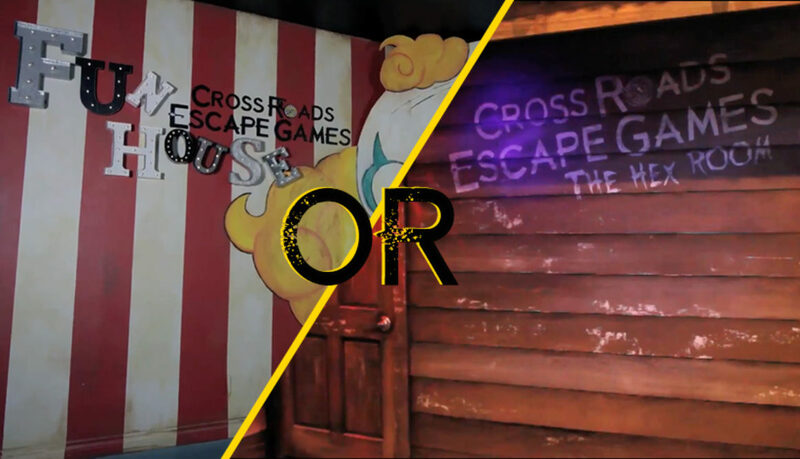 It’s an untold truth that game mastering an escape room is like watching a bunch of hour-long telenovelas all day long. 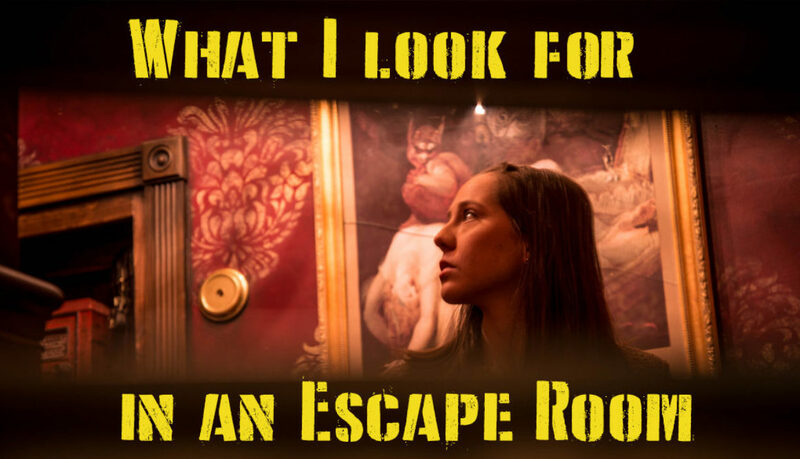 In fact, someone should totally get on with making an escape room soap opera. 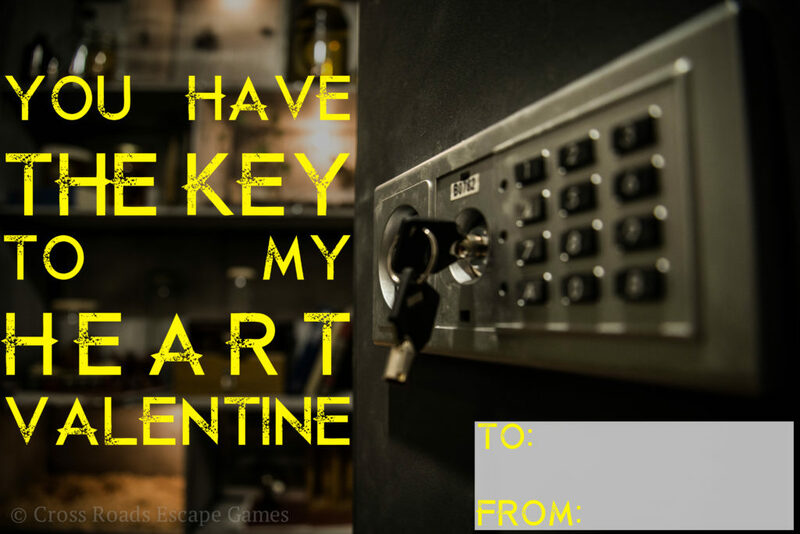 Another reason to play an escape room for your first date? You’ll have something to do. You’re not just sitting at a movie wishing you could make a snarky comment (or trying not to tear up at The Lego Movie); you’re taking part in the action. You have puzzles to solve, tasks to complete, doors to open! 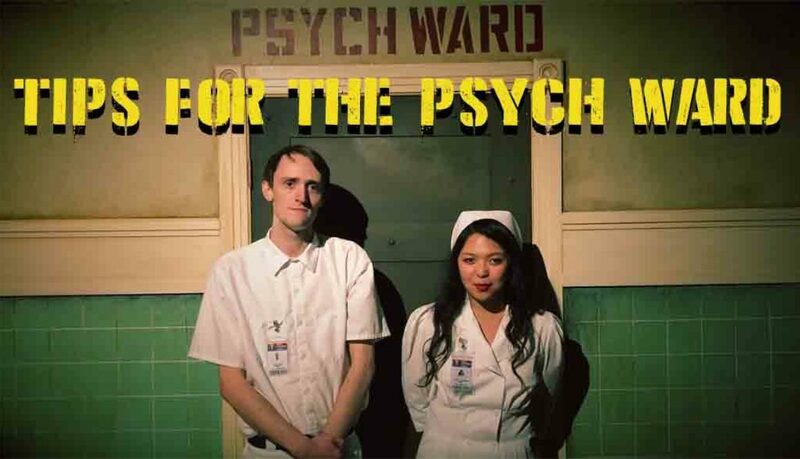 You’ll be amazed at how quickly time goes by when you’re laughing, joking, solving puzzles, or accusing your date of stealing your points in The Psych Ward. 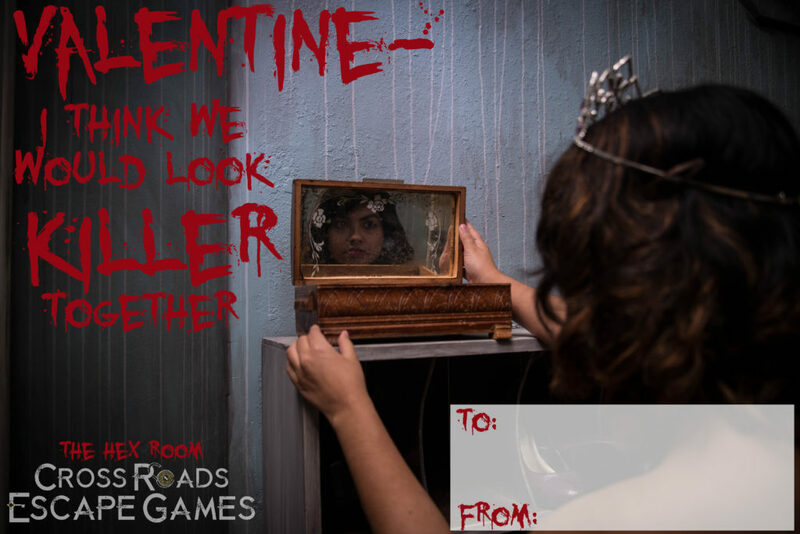 If you’re still not convinced that an escape room is the right choice for your first date, take a look at these valentine’s cards. 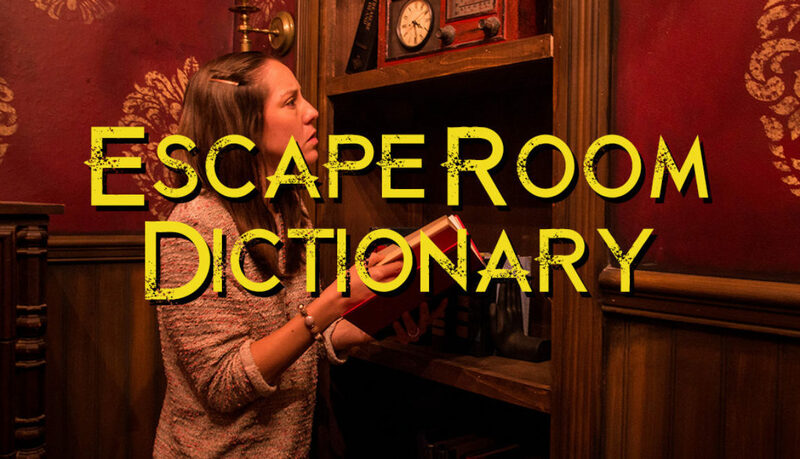 There’s no way you can deny escape room puns! 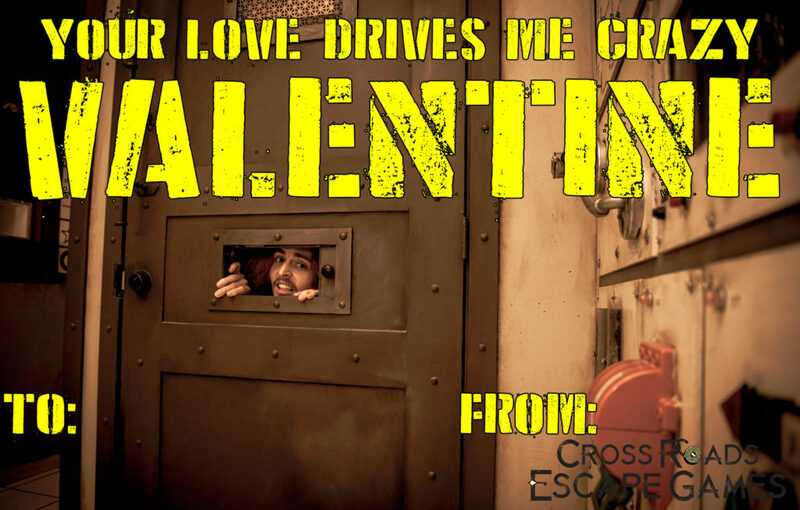 Although we will be closed this Valentine’s day, you can still get your date a Cross Roads Escape Games gift card to use on a future game. Trust me, you’ll never forget a date like this. 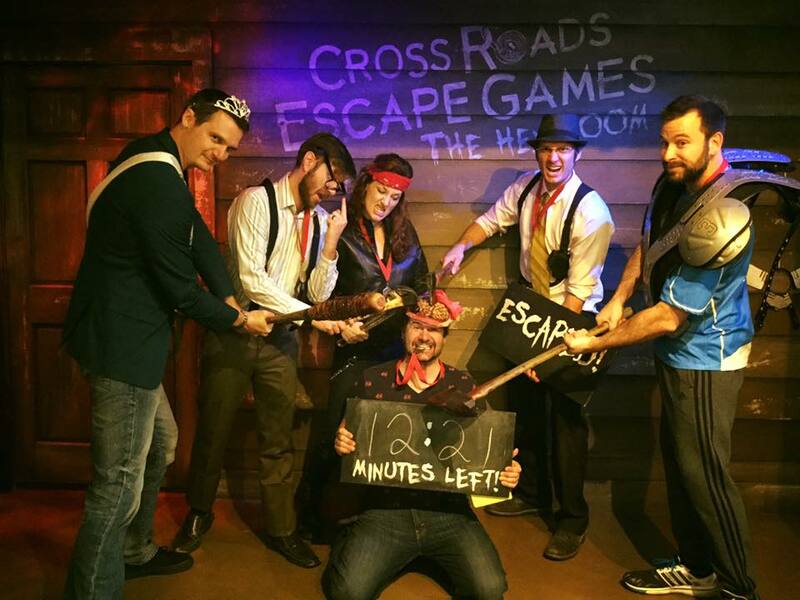 Everyone knows that the best way to enjoy an escape room is to be fully immersed in the game itself. One way that escape rooms build up their immersion is by making their players a part of the game itself with costumes. 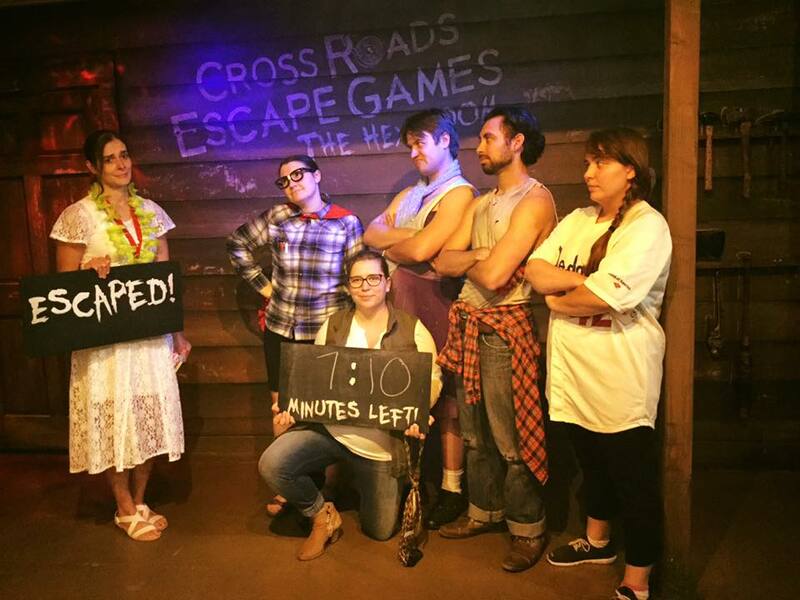 Most escape rooms will give you a vague background story to tell you why you need to escape the room. Are you an archaeologist finding lost treasure? A doctor trying to prevent a zombie infestation? 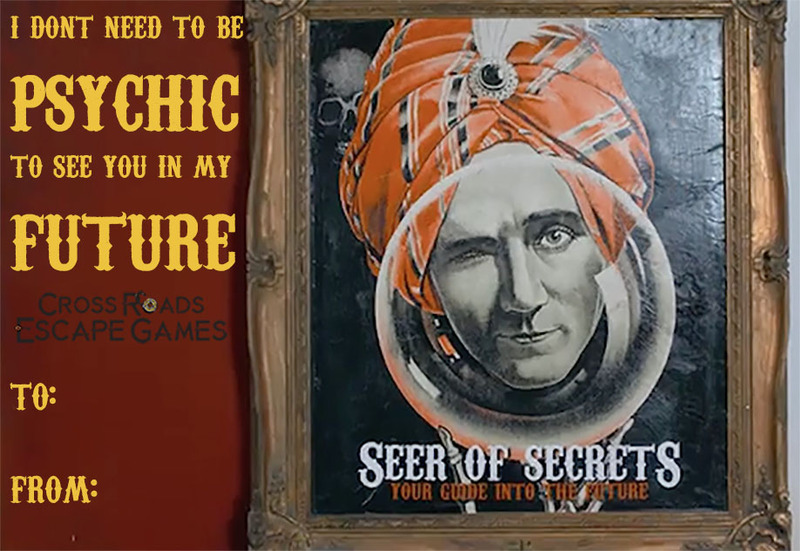 Perhaps you are a bunch of circus performers just trying to prove that you have what it takes to be magnificent magicians? No matter the theme, you are always expected to step out of your shoes and take on the persona needed to be immersed in the room. But is someone telling you that you are a bunch of scientists really enough to make you feel like you are? This is where costumes become vital! Nothing makes a player want to act like a bear more than putting a bear mask and bear claws in the room with them. You’ll see an instant transformation in your players as they go from average people to buccaneers by simply giving them coats and a few pirate hats. By giving your players roles to play, it changes the experience for everyone and costume pieces help to start the transformation. 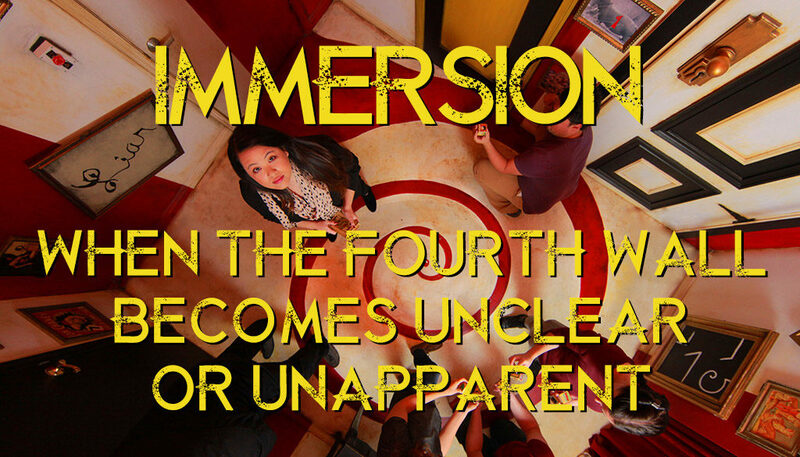 When players suspend their disbelief in an escape room it can become a more memorable experience. 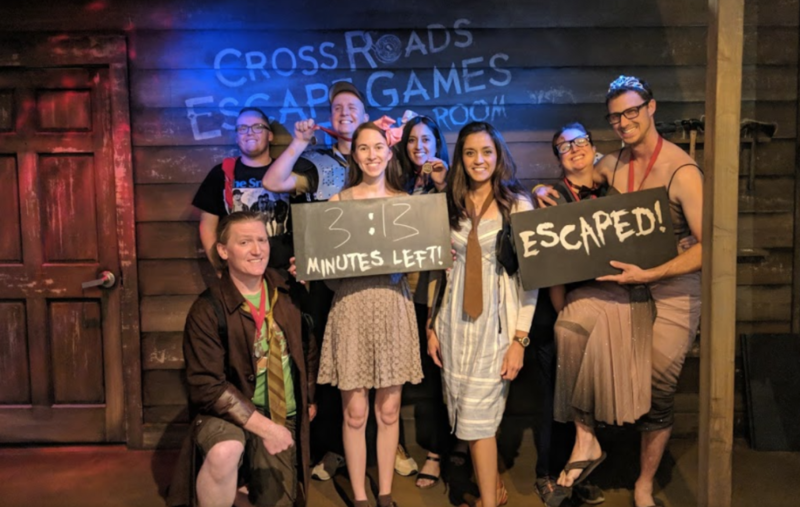 After all, spending an hour solving puzzles in a room makes for a good story, but actually partaking in a horror film is way more fun to talk about. Aside from it being more memorable, it might also help your players get into the right mindset for the rooms puzzles. Costumes change how a player acts and can change the behaviors that the player takes first. Knowing this means that you can create a flow for the room to produce a certain experience. For example, if you put a player in a room with many different puzzles to choose from there is no telling where they are going to start. But if you give a player a lab coat and a stethoscope and put them in the same type of room, they will almost always start by using the stethoscope on a puzzle that fits with it. In The Hex Room, players are cast as characters based on a personality quiz taken before the game. These characters are iconic horror movie stereotypes that you can recognize in your favorite horror flicks: The Nerd, The Jock, The Rebel, The Virgin, The Prom Queen, and The Detective. Sometimes, players will show up already dressed for their part as suggested by our online personality quiz. We love seeing players come dressed as one of these characters, ready to take on the challenge of surviving a horror film. If you want to come dressed up, here’s a handy guide to help you dress for you assigned part. First, take the personality quiz. This online quiz will give you an idea of which stereotype you best fit, some identifiable characteristics, and an example from a horror movie. Talk with your group. You may have gotten The Nerd on the quiz, but are you the nerdiest one in your group? Your character might change based on the people you play with, so make sure you talk with everyone and figure out which character best works for everyone in your specific group. Dress the part. Whether you pull some well-loved clothes from your closet, break into your stash of Halloween costumes, or hit the nearest thrift store, there are a million ways to make you character unique and clear. THE NERD: For a classic Nerd look, we opt for a nice button-up shirt (with pocket protector, of course), a pair of plain slacks, and socks (crew-length, pulled all the way up). Finish off the look with some thick-rimmed glasses and a pair of suspenders. Make your Nerd more modern with some geek-themed pins or tucked-in geek graphic T-Shirt. THE PROM QUEEN: The Prom Queen is all about looking good. Find an old cocktail dress, second-hand prom dress, or forgotten bridesmaid dress. Do your hair as high as possible and study a few makeup tutorials for an authentic look. For a more day-to-day look, dress in a pair of high-waisted jeans with a crop-top or blouse. We’ve seen a male version of The Prom Queen wearing some nice pants and a suit coat. We’ve also seen guys in dresses. There’s really no wrong way to be the Prom Queen if you’re dressing up and having fun. And don’t forget the Prom Queen’s most important feature: her attitude. THE REBEL: For the iconic bad-boy look, grab yourself some black or dark jeans, a distressed t-shirt, and a leather jacket. Top off the look with a bandana tied around your forehead. Go for a more modern look with a distressed punk band shirt, ripped skinny jeans, and a scowl. THE DETECTIVE: For the gruff and steadfast Detective, think “I’ve been on the force too long and I was going to retire later this year but I took this last case and turns out I’m stuck in this abandoned cabin with a bunch of teens and it’s up to me to save our lives.” Choose a button-up dress shirt, some sturdy workpants such as khakis or Dickies, a practical pair of shoes, and finish off the ensemble with a tie and hat. Bonus points for wearing a trench coat and only talking in a grumble. THE VIRGIN: Think “Babysitter.” A comfortable pair of trousers (clean, freshly pressed) or high-waisted mom jeans can be paired with a pretty blouse and pastel sweater vest. It’s important for the look to scream “INNOCENT,” so top it off with a pretty bow and subtle necklace. If you’re approached by parents on the street asking if you can watch their kids, you’ve done it correctly. These are just a few of our style tips. We’d love to see what you come up with! There are always variations to make and we have just as much fun seeing you come in costume as you do dressing up. Still not sure what to wear? Not to worry! We will provide each player with their own costumes to make sure they really get into character. Remember that no matter what you wear, you should be prepared to move around. 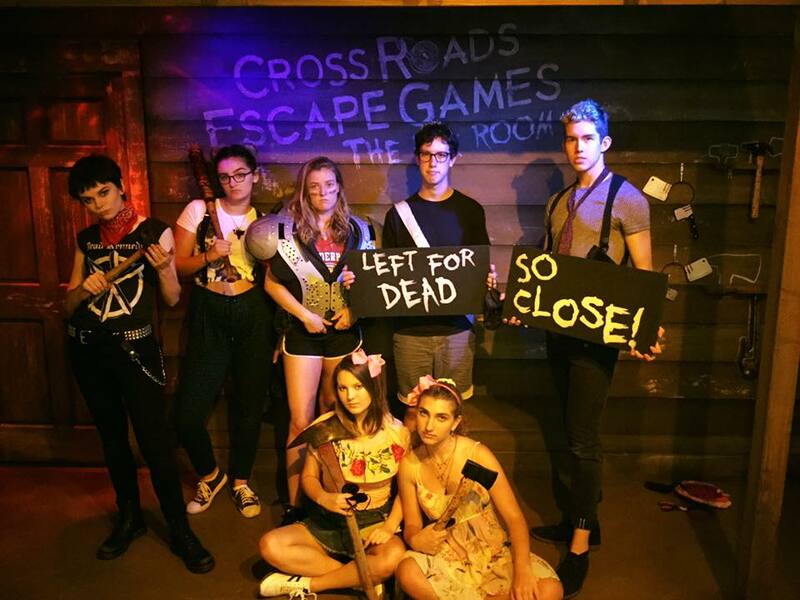 The Hex Room is a physical game and closed-toed shoes are recommended. Please be aware that although we will do our best to cast you as the character you dress as, restrictions amongst your group might require some players to switch. Enjoy some of our favorite photos of players really getting into character! Is your child’s birthday quickly approaching? Are you looking for a way to make their party extra special? 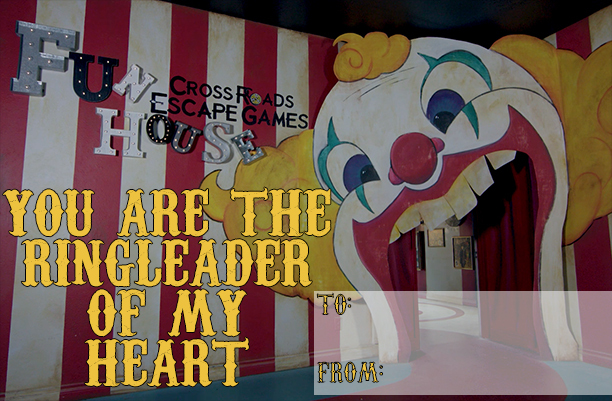 Well, come on down and test your wits in our FUN HOUSE! 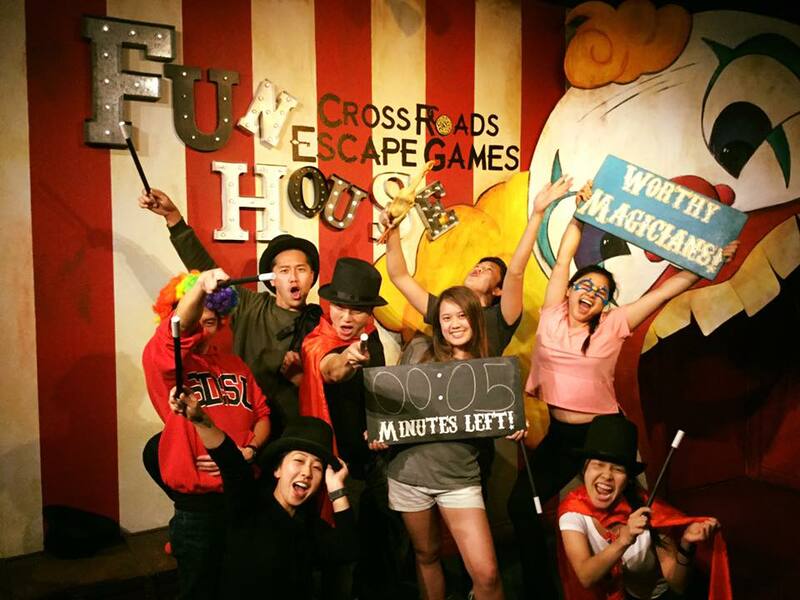 An escape room is a great birthday party idea because they are an interactive group experience that emphasize and strengthen many skills including teamwork, communication, and problem solving, while still being an entertaining and immersive game. 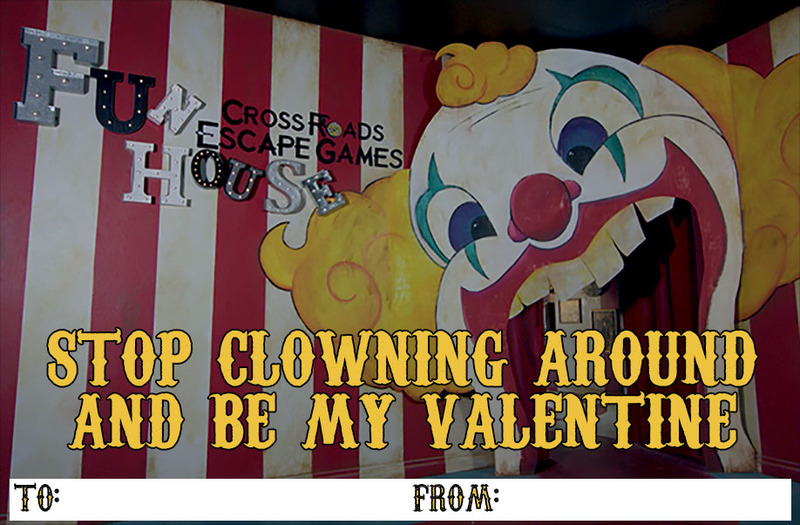 The Fun House is a topsy-turvy experience filled to the brim with laughs, mystery, magic, and excitement! 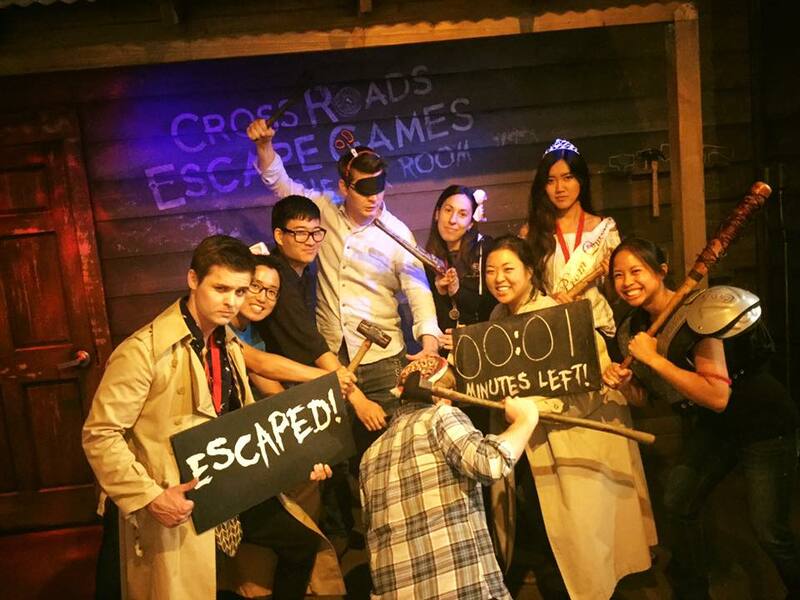 You and your team must work together to find clues and solve puzzles before time runs out. The light-hearted nature of the game makes it an ideal party destination, full of puzzles that allow groups to work together or break into smaller teams. If your team consists of young children with dreams of being magicians, have no fear! The Fun House KIDS provides the same whimsical fun and puzzle solving experience but is an alternate version designed for younger players between the ages of 8 and 13-years old. However, it is never too early to send your children off to the circus and children of all ages can play the game! We’ve added some hands-on puzzles to this version of the game so that everyone, no matter what age or height, will have something to do. What could be better than running off to prove yourself at the circus? Why, how about a party afterwards! Cross Roads Escape Games offers a beautiful lounge that is a comfortable, private space where your group can unwind, talk about their experience, eat some cake and ice cream, and open presents. Along with the lounge rental, we can provide cups, plates, napkins, utensils, balloons, and even take care of clean-up. Speaking of food, what could possibly go better with a birthday party than pizza? If you need catering for your party, we offer a special escape room package from Top Class Pizza that includes three Large 1-Topping Pizzas, two 10” cheesy bread sticks, two 10” cinnamon sticks, and two 2-liters of soda. 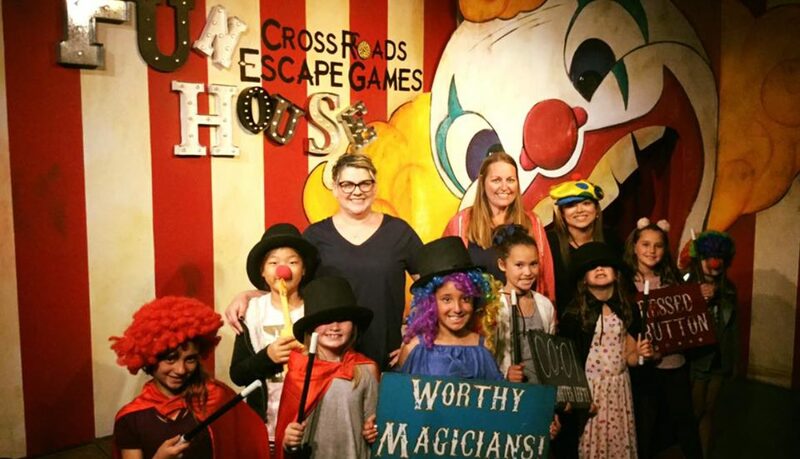 Parents love having their child’s birthday party at Cross Roads Escape Games because they know the kids will have a great time interacting and using their brains and not being distracted by phone screens. 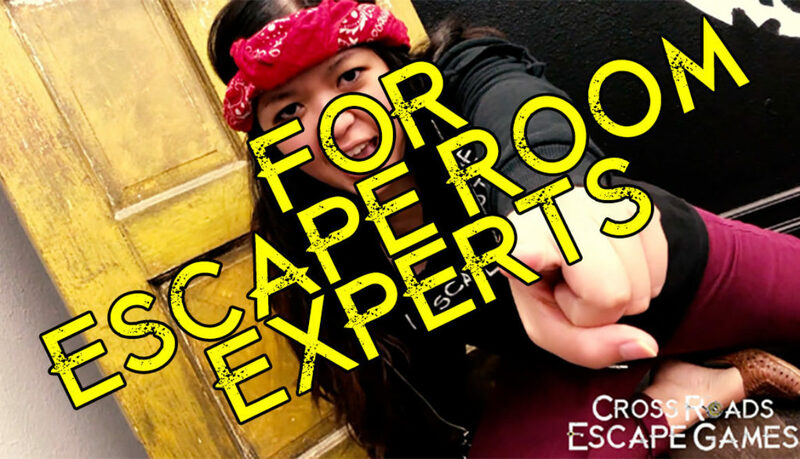 Kids love escape room birthday parties because they can be clever, solve puzzles, and win prizes in a unique experience. If you’re looking for something out of the ordinary for your child’s next birthday, try the Fun House for a truly memorable party. The Fun House and Fun House KIDS is for 4-8 players and is one-hour long. If players are 13 years or younger, they must be accompanied by an adult in the game. Both of our games are private games, meaning your group will not be paired with strangers. 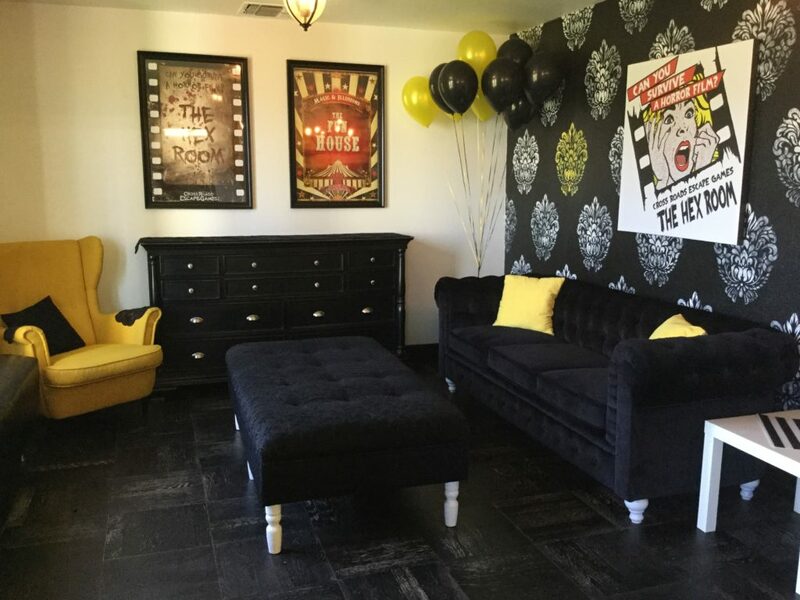 Our lounge is available to rent for an extra fee and comfortably fits up to 13 adults. We also do bachelor parties, proposals, baby announcements, and other celebrations! 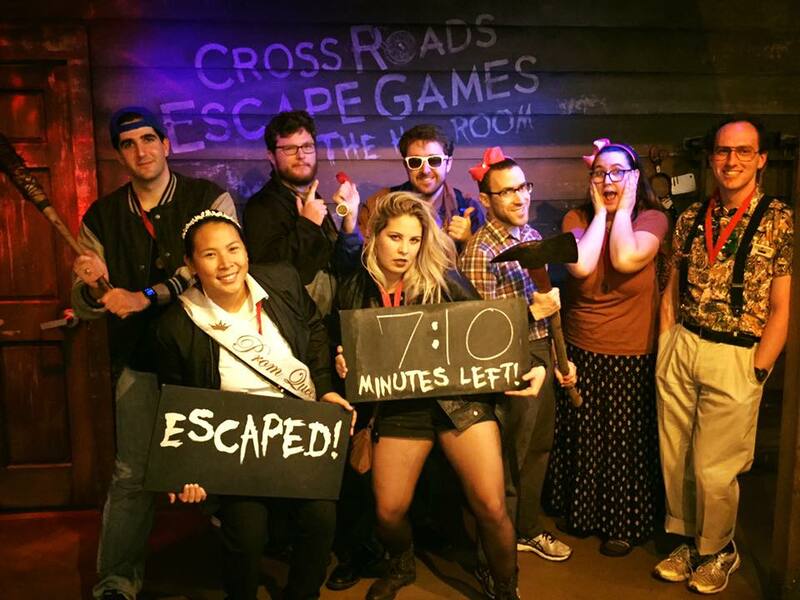 If you have any questions about parties at Cross Roads Escape Games or you would like to book your party, give us a call at (714) 572-1004.